Looking for valuable keynotes, engaging seminars or brilliant workshops? Outstanding feedback. The session was hilarious, interactive and really useful. If you want your audience to be engaged, entertained and learn something they can really use in the real world, Lee's keynotes and workshops are perfect. 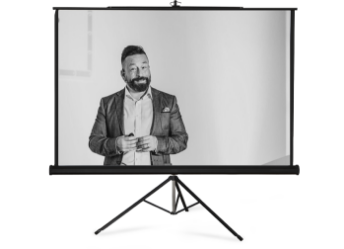 Lee's interactive, high-energy sessions are packed with solid business content, wrapped in a magical and hilarious delivery and tailored to your business needs. Sell more, communicate with confidence, and get people to take action on your ideas. Connect with clients, build internal credibility and create a networking strategy for new business. Compelling messages and powerful pitches - delivered with impact. Many blue chip organisations regularly engage Lee for their events. Lee is magic - literally! His presentations are engaging, hilarious and very, very useful. Lee inspires peope to become outstanding communicators. His audiences become more persuasive and engaging. He can help you sell more, teach you how to be a world-class networker, and give you amazing skills for pitching and presenting. More than 40,000 audience members across hundreds of conferences, workshops and events have learnt to sell better, network better and communicate better. Best of all, they've had great fun while doing it! Find out more here. If you’re a busy professional who wants – and needs – to give compelling presentations and pitches, this is the book for you. It's also a great takeaway for your conference delegates! There should be a worn, well-read version of this book on the desk of every busy person who needs to present.